Mehul Gohil the surprise package of the tournament managed to unleash terror on the seasoned players he managed to complete the tournament with a 5.5 points score. 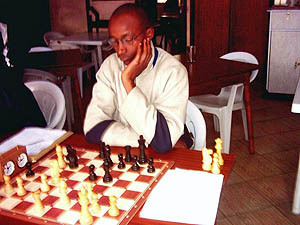 Ben Nguku another upcoming player took the second prize he managed a score of 5 points. 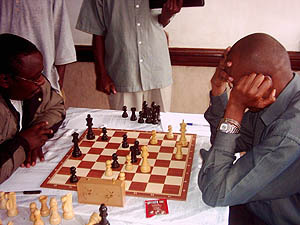 Alex Makatia's poor performance should teach him the lesson that it is not wise to mix event organizing and playing hard chess at the same time. 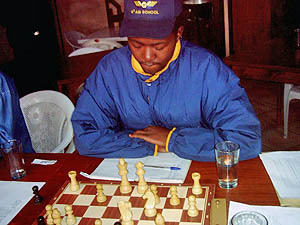 Nathan Ateka has played for Kenya board one in three Olympiads. He managed to get the 3rd Prize with 4.5 points. 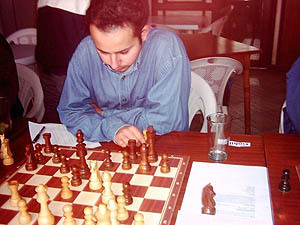 Ben Magana was the clear cut winner of this event until the last two rounds where he lost to Mehul and drew with Martin Gateri. 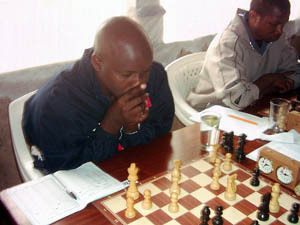 Matthew Kanegeni was the only player who managed to grab a point from the Champion Gohil. 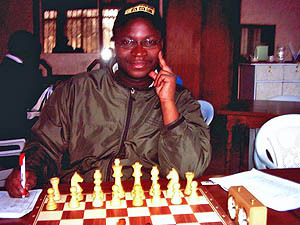 He in turn lost to Martin Gateri who lost to Makatia in an exciting tension packed match. Gateri highest rated in this event, He learnt a few life lessons that being number one is easy but staying number one is where the hard work is!!! 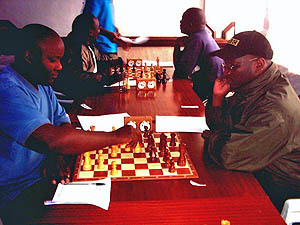 Ben Mukabi and Nathan Ateka in round 1. Ateka and Mukabi right wind up their game. 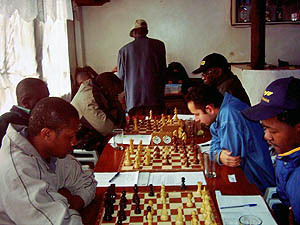 Ateka (left) and Makatia (right) in a tension packed game. The two Ben's meet in a vicious clash. 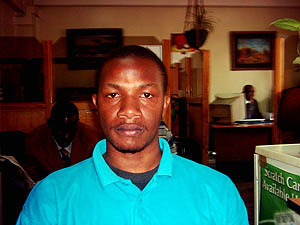 Ben Nguku left and Ben Magana (right). 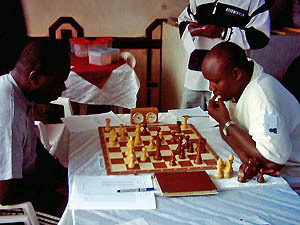 Gateri (left) and Kanegeni (right). 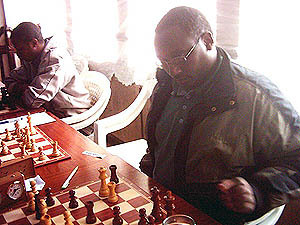 Gateri managed to squeeze a win from Kanegeni in this thrilling encounter. Copyright © 2005 The Chess Drum. All rights reserved. The content contained on this page may not copied or electronically transmitted without the expressed consent of the author. These photographs are property of Alex Makatia and those interested in the use of any of them should contact him directly for use privileges. 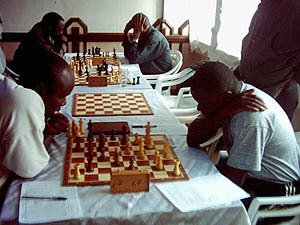 Posted on The Chess Drum, 16 July 2005.